The twelve interviews in this book cover all aspects of cinematography from pre-production planning to post-production, special effects, aerial photography, and second unit. Each interview gives a behind-the-scenes look at how some of the most popular shots in movies and television shows were lit and captured. Technically and philosophically oriented, Contemporary Cinematographers on Their Art explores the tools, trends, personalities, and professional achievements of contemporary cinematographers, highlighting the behind-the-scenes struggles of the business of making motion pictures. 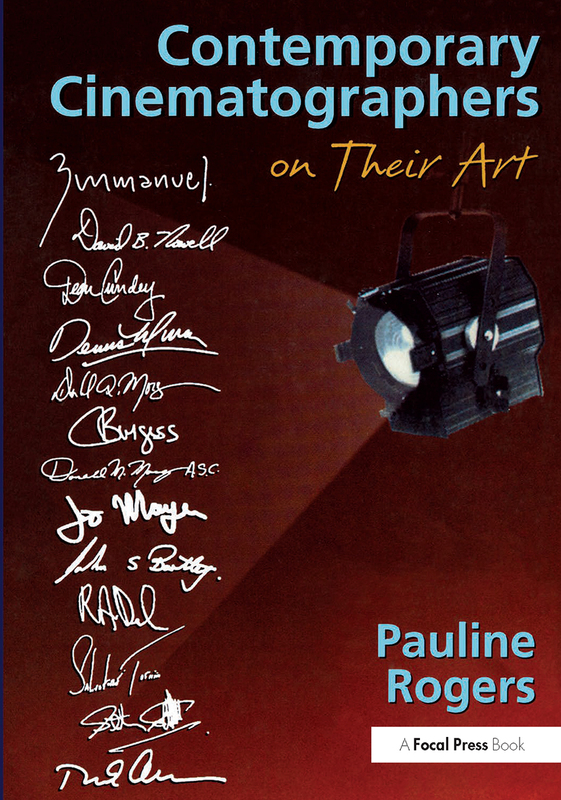 Each chapter delves into the personal challenges, political properties, inter-departmental interactions, and artistic achievements of the artists who bring scripts to life through their choice of cameras, lights, lenses, filters, gels, and other supporting equipment. Covering a variety of film and television genres--from soaps to half-hour sitcoms, to cable and network productions and low- and big-budget features--each interview explores the tools cinematographers use to capture their shots, from traditional equipment to innovative camera and lighting "toys," as well as the integration of mechanical and computer graphic effects. A staff writer at the International Cinematographer Magazine, a trade magazine published by the union of cinematographers Local 600 IATSE in LA, Pauline B. Rogers has published 1200 plus articles and three books (Contemporary Cinematographers on Their Art, More Contemporary Cinematographers on Their Art, The Art of Visual Effects) on the entertainment industry. One of the acknowledged experts on how movies are made, she often enjoys access to virtually closed sets and has been able to procure interviews with difficult to reach top of the list entertainment professionals.